For other uses, see The Barber of Seville (disambiguation). The Barber of Seville, or The Useless Precaution (Italian : Il barbiere di Siviglia, ossia L'inutile precauzione [il barˈbjɛːre di siˈviʎʎa osˈsiːa liˈnuːtile prekautˈtsjoːne] ) is an opera buffa in two acts by Gioachino Rossini with an Italian libretto by Cesare Sterbini. The libretto was based on Pierre Beaumarchais's French comedy Le Barbier de Séville (1775). The première of Rossini's opera (under the title Almaviva, o sia L'inutile precauzione) took place on 20 February 1816 at the Teatro Argentina, Rome,  with designs by Angelo Toselli. The Marriage of Figaro is a comedy in five acts, written in 1778 by Pierre Beaumarchais. This play is the second in the Figaro trilogy, preceded by The Barber of Seville and followed by The Guilty Mother. Giovanni Paisiello was an Italian composer of the Classical era, and was the most popular opera composer of the late 1700s. Il barbiere di Siviglia, ovvero La precauzione inutile is a comic opera by Giovanni Paisiello from a libretto by Giuseppe Petrosellini, even though his name is not identified on the score's title page. Nicolas Isouard was a French composer. Rossini was well known for being remarkably productive, completing an average of two operas per year for 19 years, and in some years writing as many as four. 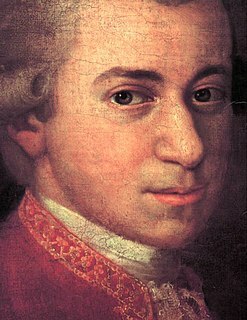 Musicologists believe that, true to form, the music for Il barbiere di Siviglia was composed in just under three weeks,  although the famous overture was actually recycled from two earlier Rossini operas, Aureliano in Palmira and Elisabetta, regina d'Inghilterra and thus contains none of the thematic material in Il barbiere di Siviglia itself. Aureliano in Palmira is an operatic dramma serio in two acts written by Gioachino Rossini to an Italian libretto in which the librettist was credited only by the initials "G. F. R." The libretto has generally been attributed to Giuseppe Felice Romani, but sometimes to the otherwise unknown Gian Francesco Romanelli. It has been suggested that the latter name may have resulted from a confusion of Romani with Luigi Romanelli, La Scala's house poet prior to Romani's appointment to the post. Elisabetta, regina d'Inghilterra is a dramma per musica or opera in two acts by Gioachino Rossini to a libretto by Giovanni Schmidt, from the play Il paggio di Leicester by Carlo Federici, which itself "was derived from a novel The Recess (1785) by Sophia Lee." The premiere of Rossini's opera at the Teatro Argentina in Rome  (20 February 1816) was a disaster: the audience hissed and jeered throughout, and several on-stage accidents occurred. Furthermore, many of the audience were supporters of one of Rossini's rivals, Giovanni Paisiello, who played on mob mentality to provoke the rest of the audience to dislike the opera. Paisiello had already composed The Barber of Seville and took Rossini's new version to be an affront to his version. In particular, Paisiello and his followers were opposed to the use of basso buffo, which is common in comic opera. The second performance, however, was successful. The original French play, Le Barbier de Séville, had a similar story: poorly received at first, only to become a favorite within a week. The singing lesson in act 2 has often been turned into "a show-stopping cabaret." Adelina Patti was known to include Luigi Arditi's "Il bacio", the Bolero from Verdi's I vespri siciliani , the Shadow Song from Meyerbeer's Dinorah , and Henry Bishop's "Home! Sweet Home!". Nellie Melba followed suit, accompanying herself on the piano in the final song. Pauline Viardot began the practice of inserting Alexander Alyabyev's "Nightingale". Maria Callas sang a cut-down version of Rossini's own "Contro un cor." The piece is a staple of the operatic repertoire  Because of a scarcity of true contraltos,  the role of Rosina has most frequently been sung by a coloratura mezzo-soprano (with or without pitch alterations, depending on the singer), and has in the past, and occasionally in more recent times, been sung by coloratura sopranos such as Marcella Sembrich, Maria Callas, Roberta Peters, Gianna D'Angelo, Victoria de los Ángeles, Beverly Sills, Lily Pons, Diana Damrau, Edita Gruberová, Kathleen Battle and Luciana Serra. Famous recent mezzo-soprano Rosinas include Marilyn Horne, Teresa Berganza, Lucia Valentini Terrani, Susanne Marsee, Cecilia Bartoli, Joyce DiDonato, Jennifer Larmore, Elīna Garanča, and Vesselina Kasarova. Famous contralto Rosinas include Ewa Podleś. In a public square outside Bartolo's house a band of musicians and a poor student named Lindoro are serenading, to no avail, the window of Rosina ("Ecco, ridente in cielo"; "There, laughing in the sky"). Lindoro, who is really the young Count Almaviva in disguise, hopes to make the beautiful Rosina love him for himself – not his money. Almaviva pays off the musicians who then depart, leaving him to brood alone. Rosina is the young ward of the grumpy, elderly Bartolo and she is allowed very little freedom because Bartolo plans to marry her once she is of age and thus appropriate her not inconsiderable dowry. Almaviva again appears at the doctor's house, this time disguised as a priest who is also a singing tutor and pretending to act as substitute for the supposedly ailing Basilio, Rosina's regular singing teacher. Initially, Bartolo is suspicious, but does allow Almaviva to enter when the Count gives him Rosina's letter. He describes his plan to discredit Lindoro whom he believes to be one of the Count's servants, intent on pursuing women for his master. While Almaviva pretends to give Rosina her singing lesson, Figaro arrives to shave Bartolo. Bartolo demurs, but Figaro makes such a scene he agrees, but in order not to leave the supposed music master alone with Rosina, the doctor has Figaro shave him right there in the music room. When Basilio suddenly appears, he is bribed by a full purse from Almaviva and persuaded to leave again, with much discussion of how ill he looks. (Quintet: "Don Basilio! – Cosa veggo! "; "Don Basilio! – What do I see?"). Figaro begins to shave Bartolo, but Bartolo overhears the lovers conspiring, and angrily drives everybody away. The scene returns to the location of act 1 with a grill looking out onto the square. Bartolo orders Basilio to have the notary ready to marry him to Rosina that evening. He also explains his plot to come between the lovers. Basilio leaves and Rosina arrives. 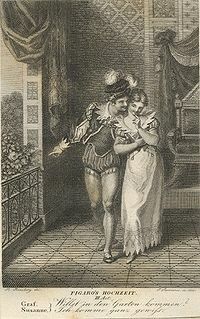 Bartolo shows Rosina the letter she wrote to "Lindoro", and persuades her that this is evidence that Lindoro is merely a flunky of Almaviva and is toying with her at Almaviva's behest. Rosina believes him and agrees to marry him. During an instrumental interlude, the music creates a thunder storm to indicate the passage of time. The Count and Figaro climb up a ladder to the balcony and enter the room through a window. Rosina shows Almaviva the letter and accuses him of betraying her. Almaviva reveals his identity and the two reconcile. While Almaviva and Rosina are enraptured by one another, Figaro keeps urging them to leave. Two people are heard approaching the front door, who later turn out to be Basilio and the notary. However, when the Count, Rosina, and Figaro attempt to leave by way of the ladder, they discover it has been removed. The marriage contract requires two witnesses; Figaro is one, but another is needed. The Count makes Basilio an offer he can't refuse: the choice of accepting a bribe and being a witness to his marriage or receiving two bullets in the head (an easy choice, Basilio says). He and Figaro witness the signatures to a marriage contract between the Count and Rosina. Bartolo barges in, accompanied by the Officer and the men of the watch, but too late; the marriage is already complete. The befuddled Bartolo (who was the one who had removed the ladder) is pacified by being allowed to retain Rosina's dowry. The opera concludes with an anthem to love ("Amor e fede eterna, si vegga in noi regnar!"). Pierre-Augustin Caron de Beaumarchais was a French polymath. At various times in his life, he was a watchmaker, inventor, playwright, musician, diplomat, spy, publisher, horticulturist, arms dealer, satirist, financier, and revolutionary. Teresa Berganza VargasOAXS is a Spanish mezzo-soprano. She is most closely associated with the roles of Rossini, Mozart, and Bizet. She is admired for her technical virtuosity, musical intelligence, and beguiling stage presence. Hermann Prey was a German lyric baritone, who was equally at home in the Lied, operatic and concert repertoires. His American debut was in November 1952, with the Philadelphia Orchestra and Eugene Ormandy, and his American recital debut took place in 1956, at New York's Carnegie Hall. As a Lieder singer, he was a gifted interpreter of Schubert, including his song-cycles Die schöne Müllerin and Die Winterreise and the collection of songs Schwanengesang, as well as of Robert Schumann, Richard Strauss and Gustav Mahler. He also appeared frequently as a soloist in Bach's Passions and Brahms' A German Requiem. "Largo al factotum" is an aria from The Barber of Seville by Gioachino Rossini, sung at the first entrance of the title character; the repeated "Figaro"s before the final patter section are an icon in popular culture of operatic singing. The term "factotum" refers to a general servant and comes from Latin where it literally means "do everything". Alessandro Corbelli is an Italian baritone opera singer. One of the world's pre-eminent singers specializing in Mozart and Rossini, Corbelli has sung in many major opera houses around the world and won admiration for his elegant singing style and sharp characterizations, especially in comic roles. 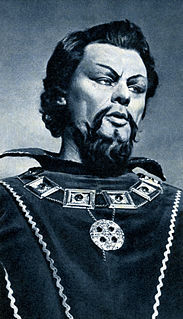 Riccardo Stracciari was a leading Italian baritone. His repertoire consisted mainly of Italian operatic works, with Rossini's Figaro and Verdi's Rigoletto becoming his signature roles during a long and distinguished career which stretched from 1899 to 1944. Giuseppe Nessi was an Italian operatic tenor. Figaro Gets a Divorce is an opera by the Russian-British composer Elena Langer to a libretto by David Pountney. It premiered on 21 February 2016 at the Welsh National Opera at Cardiff. ↑ Casaglia, Gherardo (2005). "Il barbiere di Siviglia (1816)" . L'Almanacco di Gherardo Casaglia (in Italian). ↑ Weinstock 1968, p. 54; Oborne, Charles 1994, p. 57. ↑ Cordier 1883, p. 13 Archived 17 June 2014 at the Wayback Machine . ↑ Weinstock 1968, p. 366. 1 2 D'Arcais, F. (1869). "Rassegna Musicale". Direzione della nuova antologia (in Italian). Firenze: Direzione della nuova antologia. 10: 404. ↑ "[Article]". Gazzetta Piemontese (in Italian). 17 November 1868. p. 2. 1 2 3 4 Osborne, Richard 2007, pp. 38–41 Archived 17 June 2014 at the Wayback Machine . ↑ Osborne, Charles (1994). The Bel Canto Operas. Portland: Amadeus Press. p. 52. ISBN 0-931340-71-3. ↑ Loewenberg 1978, columns 643–646. ↑ Kmen 1966, p. 97. ↑ Sommer 1992, p. 586. 1 2 3 4 Osborne, Richard 1992, p. 311. ↑ The aria is included as an appendix to the critical edition of the opera edited by Patricia Brauner. See lecture given on 24 October 2009 Archived 25 March 2016 at the Wayback Machine by Philip Gossett on the new critical edition of Il barbiere di Siviglia (minutes 19–25) (published online on 10 February 2014 by the University of Chicago); see also "Fodor-Mainvielle, Joséphine" in Kutsch & Riemens 2003, p. 1500–01. ↑ "Opera Statistics". Operabase. Archived from the original on 17 September 2011. Retrieved 8 May 2011. ↑ Myers, Eric, "Sweet and Low: The case of the vanishing contralto Archived 18 July 2011 at the Wayback Machine , Opera News , December 1996. ↑ Roles are listed as given in the 1816 libretto Archived 10 March 2017 at the Wayback Machine (Rome: Crispino Puccinelli). ↑ The very elderly servant yawns aloud a few times, and speaks one or two words expressing his desire to sleep. ↑ He has only one solo line, but it's a very significant one. ↑ The plot synopsis is partly based on Melitz 1921, pp. 29–31. Archived 10 March 2017 at the Wayback Machine , with updates, clarifications, and modifications to its often out-of-date language. Cordier, Henri (1883). Bibliographie des oeuvres de Beaumarchais. Paris: A. Quantin. Copy at Google Books. Foil, David; Berger, William (2006). Text accompanying Rossini: The Barber of Seville. New York: Black Dog & Leventhal. ISBN 978-1-57912-618-6. OCLC 840078233. Kmen, Henry A. (1966). Music in New Orleans: The Formative Years 1791–1841. Baton Rouge: Louisiana State University Press. ISBN 9780807105481. Kobbé, Gustav (1997). The New Kobbé's Opera Book , edited by The Earl of Harewood and Antony Peattie. New York: G.P. Putnam's Sons. ISBN 978-0-399-14332-8. Kutsch, K. J. and Riemens, Leo (2003). Großes Sängerlexikon (fourth edition, in German). Munich: K. G. Saur. ISBN 9783-598115981. Melitz, Leo (1921). The Opera Goer's Complete Guide, translated by Richard Salinger. Garden City, New York: Garden City Publishing. Copy at Google Books. Osborne, Richard (1992), The Barber of Seville, in Stanley Sadie (Ed. ), The New Grove Dictionary of Opera , Vol. One. London: Macmillan Publishers, Inc. ISBN 0-333-73432-7 ISBN 1-56159-228-5. Also at Oxford Music Online. Sommer, Susan T. (1992). "New York" in Sadie 1992, vol. 3, pp. 585–592. Sterbini Romano, Cesare (1816). Almaviva o sia L'inutile precauzione ... Con Musica del Maestro Gioacchino Rossini, libretto in Italian. Rome: Crispino Puccinelli. Copy at Google Books. Weinstock, Herbert (1968). Rossini: A Biography. New York: Knopf. OCLC 192614 , 250474431. Reprint (1987): New York: Limelight. ISBN 978-0-87910-071-1. Wikimedia Commons has media related to The Barber of Seville .